StarsAtYerkes (S@Y) traveled across the spectrum of multi-wavelength astronomy with a special emphasis on infrared astronomy during their Saturday September 10th event, Infrared Astronomy - featuring NASA's SOFIA and NITARP Programs. A variety of sessions, tours and hands-on activities were lead by astronomers, engineers and teachers that are involved in NASA’s SOFIA (Stratospheric Observatory For Infrared Astronomy) and NITARP (NASA/IPAC Teacher Archive Research Program using the Spitzer Space Telescope) infrared missions. Participants increased their knowledge of and ability to teach the electromagnetic spectrum with an emphasis on infrared light and had the opportunity to get the latest information on how to become involved in these NASA missions. Al Harper of the University of Chicago started our day with a walk through the history of airborne infrared observi ng, an overview of the current and future science possibilities, and insights in to the symbiotic relationship of scientist and K-12 educators. Al is the Principal Investigator for SOFIA’s HAWC (High-resolution Airborne Widebandwidth Camera), a far infrared camera that is being built right here at the University of Chicago's Yerkes Observatory. Eric Sandberg, Engineer on the HAWC team, then gave us a nuts and bolts, behind the scenes tour of HAWC. Learning the steps necessary to bring HAWC down to temperatures low enough to avoid infrared intereference from the camera itself was a “chilling” experience. This weekend’s workshop served as a chance for the SOFIA 6, the first six teachers chosen to fly on SOFIA as Airborne Astronomy Ambassadors (like us on Facebook) earlier this year, to meet and work together for the first time. The SOFIA 6 and past, present and future NITARP participants presented informative and hands-on sessions including insight into their experience with these NASA programs alongside S@Y educators and scientists. SOFIA 6 and NITARP participants Peggy Piper (Lincoln-Way North HS, Frankfort, IL) and Cris DeWolf (Chippawa Hills HS, Sheriden, MI) presented hands-on filter activities relating to the detecting capabilities of the human eye, finding patterns in LED lights and studying and astronomical images. 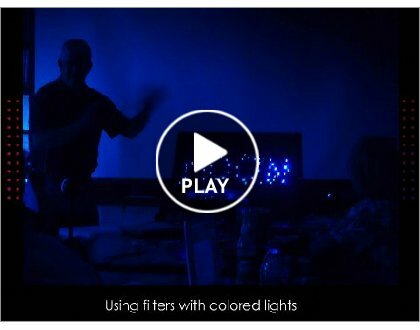 S@Y educator Kathy Schmidt (Illinois Math and Science Academy, Aurora, IL) and S@Y scientist Marc Berthoud (University of Chicago) demonstrated Yerkes new infrared camera and explored possibilities for classroom investigations using this new tool. Pamela Harman (SOFIA EPO, SETI Institute, Mountain View, CA) guided participants through the assembly and use of infrared emitter and detector circuits. Participants were able to discern various sources of light from incandescent to fluorescent to infrared and transmit information in the form of music from the infrared emitter to the detector. SOFIA 6 member Theresa Paulson (Mellon High School, Mellon, WI) gave an overview of the online Invisible Universe Course, recently renamed Astronomy for Teachers, which is available through the University of Wyoming. Theresa demonstrated and made available her Moodle WebQuest that takes students through the electromagnetic spectrum. Marita Beard (Branham HS, San Jose, CA) and Mary Blessing (Herndon HS, Herndon, VA), both SOFIA 6 members, presented two takes on the electromagnetic spectrum. Marita use a “low tech” paper cut out method that can be used to understand how the spectrum of stars as well as their red or blue shift can be determined. Mary shared a build your own spectroscope activity along with a presentation on the analysis of the spectral fingerprints of stars including red and blue shift. Kathy Fredette (Desert Willow Intermediate School, Palmdale, CA) tied things together with a talk on using student inquiry to develop products and projects. Kathy demonstrated her use of student/scientist connections with her middle school students and the nearby SOFIA scientists and support crew. S@Y educator and NITARP participant Kevin McCarron (Oak Park River Forest HS, Oak Park, IL) spoke about his recent NITARP experience which included working with visually and hearing impaired students and resulted not only in the presentation of posters at the January 2011 AAS conference, but in the publication of the group’s results in the Astronomical Journal. The day’s events concluded with an in depth look at the requirements and process for the upcoming SOFIA AAA and NITARP applications. Research Scientist Luisa Rebull (Spitzer Science Center, Pasadena, CA) spoke to the group and answered questions via Skype about the NITARP application which is currently available at http://coolcosmos.ipac.caltech.edu/cosmic_classroom/teacher_research/. SOFIA Education Programs Manager Coral Clark (Mountain View, CA) updated the group concerning the soon to be available SOFIA AAA application for the second cycle of teacher to fly onboard SOFIA. Information about the SOFIA AAA application can be found at http://sofia.usra.edu/Edu/edu.html where interested parties can also register to receive the SOFIA Educators Newsletter. A beautifully clear and cool Wisconsin evening lured many participants to return to the observatory for a look through Yerkes historic 40 inch telescope, the largest refracting telescope in the world with the guidance of Kyle Cudworth, Director of the University of Chicago’s Yerkes Observatory as well as use of the 24 inch and 41 inch reflecting telescopes.Behind the scenes help of Vivian Hoette, Ed Sadler, Margie Corp, Sherry Shelley, Kathy Schmidt and Scott Piper were greatly appreciated. Click here for additional images from the workshop.